The Axolotl which is native to central America has amazing healing powers where it can regrow lost limbs, organs, along with its spinal cord, eyes and even parts of its brain. In fact there is little it cannot do that does not impress scientists. Because of this researchers from around the world are building up improved mapping of the salamander’s genome and DNA. The Axolotl is also known as the Mexican Walking Fish and comes with four legs, a collar of fluffy type gills and a long tapered tail. The colors of the Axolotl can range from gray-black, yellow-golden, pink, and a rather cute smiley face. You would be forgiven if you thought it was alien in origin and came from another planet in the galaxy. Aztec legends say originally it was a god who shape-shifted in order to avoid being sacrificed. Axolotls are native to the canals of Lake Xochimilco in the south of Mexico City where they are only found naturally in this location on the planet in the wild. Unfortunately, these amazing creatures are facing extinction due to man-made pollution from the city that is upsetting their habitat. However, efforts are underway to clean up the canals of Lake Xochimilco by conservationists and to protect the Axolotl. These super healing powers of the amphibians are found in plentiful supply though in captivity with their population thriving in scientific laboratories around the world. 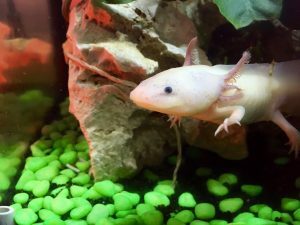 Researchers have now connected together the genome of the Axolotl in an advance breakthrough that could be revolutionary of regrowing lost limbs for humans. This puts us closer together in fully understanding how the salamander is able to have these powerful regenerative abilities. The Axolot’s Genome is 10 times that of the human genome so it is no small task to map it out correctly. The challenges of mapping out the genome of the salamander has prevented research in unlocking the Axolot’s mysteries in regeneration. This new research is built off a previous study that I discussed in 2018 on the regeneration of human limbs and the salamander’s DNA. 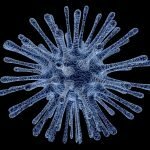 In this new recent study, researchers have been edging closer to correctly assembling the creature’s genome. From the University of Kentucky, the team used a technique known as linkage mapping to more easily identify each sequence and put the genome of the axolotl in order. The team mapped out greater than 100, 000 pieces of DNA that were put onto chromosomes. They say this is the largest genome that has been assembled. If we have a complete genome that is correctly sequenced that could be used as a key in biomedical research that would rely on the amphibian for the future of human regeneration research. 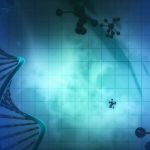 The scientists state that until recently, it was not considered possible to ‘assemble a 30+GB genome.’ However, in this study the team point out that it is possible with using cost effective and accessible methods and opens a new chapter of regularly sequencing other creatures in nature with large genomes. To prove that this technique of sequencing a genome is effective, they used data to target a gene responsible for defects of the heart in the creatures. So this can serve as a new way of modelling of human disease. People have the ability to regrow the skin and aspects of organs up to a point, but we no longer have the healing ability to regrow an entire limb or organ. We can heal the skin up to a point but when it becomes heavily damaged such as with third degree burns that it can not be restored to what was there before. Notice I used the words ‘no longer have the healing ability’ above. This is because we do have these regeneration abilities to regrow lost limbs and body parts but it has been made dormant. The key is understanding how to harness and awaken these regeneration mechanisms that are currently in hibernation. So why do we no longer have these abilities? There have been many ideas put forward by scientists on why this is. It could be due to the immune system that blocks limb regeneration by scarring the tissue to stop bleeding at the point of injury. Or perhaps due to humans large size makes the process of regrowth of a limb too energy intensive. This later argument is that nature would allow the body to adopt in surviving with one arm instead of two as the use of energy to regrow the lost arm is not energy efficient perhaps. The paper published by the scientists on the Genome Research say this is the most comprehensive mapping on the axolotl yet. It could have major implications for new novel treatments in restoring a lost limb. While prosthetics have greatly helped when a person suffers limb loss and the technology has improved a lot, the Holy Grail would be to regrow the lost limb instead of 3D printing a human Limb. 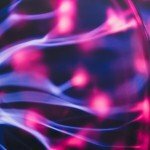 Scientists have been researching the physiology of the Salamander for 150 years, but in the past 15 years we have advanced more in medical science that in the past 50 years. We might still be on a significant path from growing a new arm and leg for the patient but this research on the Axolotl’s genome being mapped using the technique described, brings us more into focus on human regeneration. Human Limb Regeneration might at first appear as science fiction but it is not. If the Mexican Salamander Axolotl can do this then why can’t we? Since we possess the mechanisms needed for regeneration but is turned off. The creature will regrow bones, muscles and nerves within just a few weeks of injury. The new limb is not only regenerated as easily as snapping your fingers but it is perfect as if the injury never happened. The Axolotl is also the focus of spinal cord regeneration along with retinal tissues. This makes the Axolotl God-like in nature. So who knows, perhaps that legend I mentioned to you at the beginning is real after all, that it was a God at one point. Its no mystery why scientists want to cultivate them in the lab for intense study. The question is will humans be able to express those God-like regenerative abilities? I say we will, it is not a question of if but a debate of when. 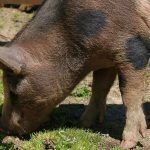 Let me know your thoughts in the comments below on what you thought of this article. 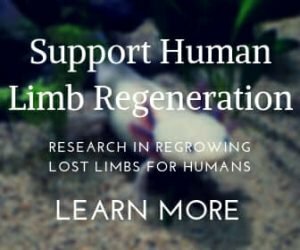 If you desire to get notified right away about the latest new articles published, be sure to sign to Limb Regrow in the subscription form below. This is so exciting. I am 65 yrs old and I lost my left leg in 2015. I only have about a 6 or 8 inch stub, I have walked a little with the prosthetic, but they have never gotten it comfortable or feeling safe. I would so love to regrow my leg. I look forward to hearing about new developments. I believe dry fasting can accomplish this already. Electrotherapy would be the second runner up. Stem cell therapy is basically mocking fasting.